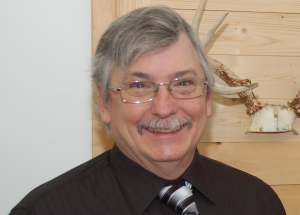 With almost 40 years of professional experience in the firearms trade including work with Creekside Gun Shop in Bloomfield and Pro Gun Services in Victor, Tim Kinton brings his knowledge and expertise to Farmington, NY in the form of Kinton Guns: The premiere full-service gun shop in western New York. We have a full inventory of new and used firearms; From Smith & Wesson, Ruger, Kahr, Baretta and Glock handguns to Remington, Henry, Mossberg, Stag or Springfield shotguns and rifles. 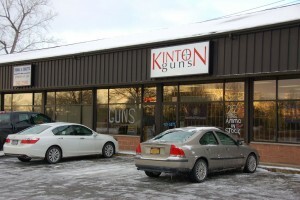 Kinton Guns is located in the former Liberty Gun Shop building on State Route 332 in Farmington NY. Have something you want to discuss? Feel free to give us a call during office hours, or send us an email message. We aim to respond to all queries from our site within 24 hours. Kinton Guns in Farmington NY provides the highest quality Glock, Remington, Smith & Wesson, Kahr, Kimber, Ruger, Colt, H&K, Springfield, Taurus, Beretta, Sig Sauer, Browning, Thompson Center sales and service in the Victor, Canandaigua, Geneva, Waterloo, Seneca Falls, Ithica, Pittsford, Elmira, East Rochester, Courtland, Henrietta, Penfield, Lyons, Clyde, Watkins Glen, Geneseo, and Fairport areas.